(TibetanReview.net, Apr18, 2015) – There has been yet another protest self-immolation in Chinese ruled Tibet, coming just a week after a nun had done so, taking the total since Feb 2009 to 139. 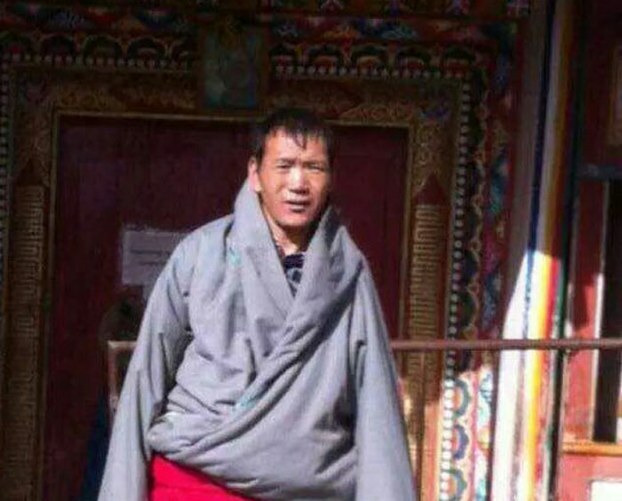 Nei Kyab, believed to be in his mid-40s, torched himself on Apr 15 in the courtyard of his home in Ngaba (Chinese: Aba) County, Sichuan Province, according to several online media reports Apr 16. The man was reported to have set up an altar in his courtyard in Soruma village of Choejema Town with religious offerings and displays of pictures which included those of the Dalai Lama, the late 10th Panchen Lama, as well as of his children, and then lit himself up in front of it around midday. The reports said the man burned to death, with his remains having been taken away by the Chinese police. As he burned, the man was said to have shouted for the Dalai Lama’s return and for the release of the 11th Panchen Lama Gedhun choekyi Nyima who was kidnapped and disappeared by the Chinese government in 1995 at age 6. Nei Kyab, whose wife reportedly died last year, is said to be survived by his seven children. The man had received religious recognition for his vow not to harm others in personal disputes, with him having taken that vow in honour of all those who had sacrificed themselves in self-immolation protests for the cause of Tibetan freedom, Radio Free Asia (Washington) Apr 6 quoted a local source as saying. Nei Kyab, also called Dhamkar, is a former monk of the local Adue Yak Monastery. His brother-in-law Dargye was one of the two men who carried out a protest self-immolation in Tibet’s capital Lhasa on May 27, 2012. Before Nei Kyab, Yeshi Khando, a 47-year-old Tibetan woman, had set herself ablaze and died near Karze Monastery in Karze (Ganzi) County-town on Apr 8. She had performed a circumambulation of the monastery before burning herself, shouting prayers of long-life for the Dalai Lama and calling for freedom for Tibetan people.